Garrett Jemison brings his strategic planning skills, his detailed understanding of the interface of business and government and a long-standing relationship with Alabama’s Congressional Delegation to bear on behalf of our clients. 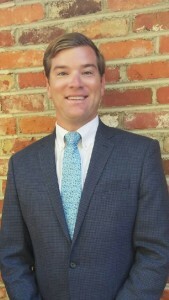 After graduating from The University of Alabama in 2008, Garrett continued the association he formed with Senator Richard Shelby as an intern while still in school when Senator Shelby selected Garrett to serve in his personal office. Garrett next went to work at Mowery Consulting Group, a strategic communications, public relations and campaign consulting firm. In 2011, Senator Shelby asked Garrett to serve as his State Director, where Garrett oversaw in-state operations and set up events in all 67 counties for the senator’s annual state tour, giving him a first-hand look at the needs of everyday Alabamians across all regions of the state. In 2014, Garrett formed Jemison Inc., and now, in addition to his work with The Bloom Group, he maintains a diverse portfolio of clients ranging from energy, defense and education, to associations, municipalities and counties.